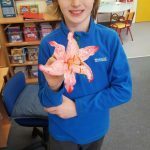 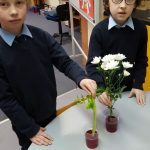 The children have worked really hard in science this year. 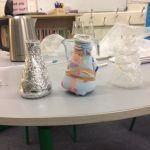 Here are a few examples of the investigations we have undertaken. 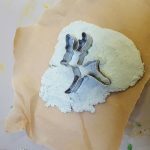 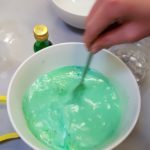 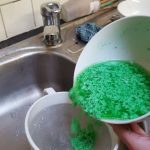 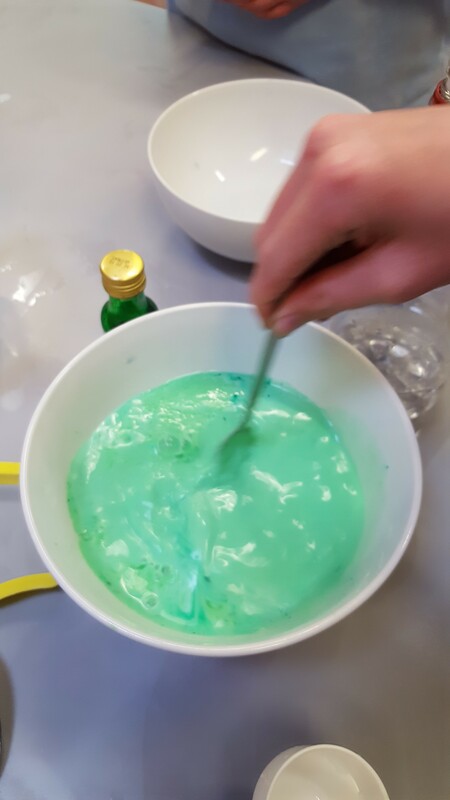 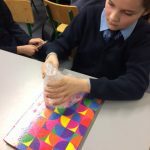 Click here for some examples of other Science Activities this year. 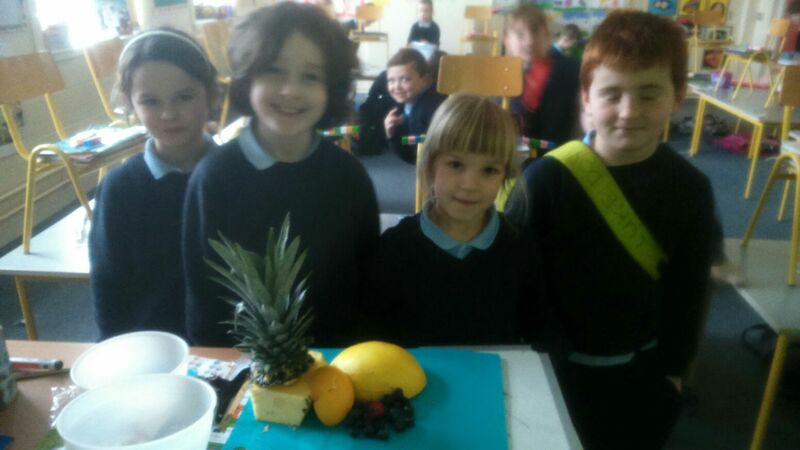 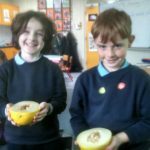 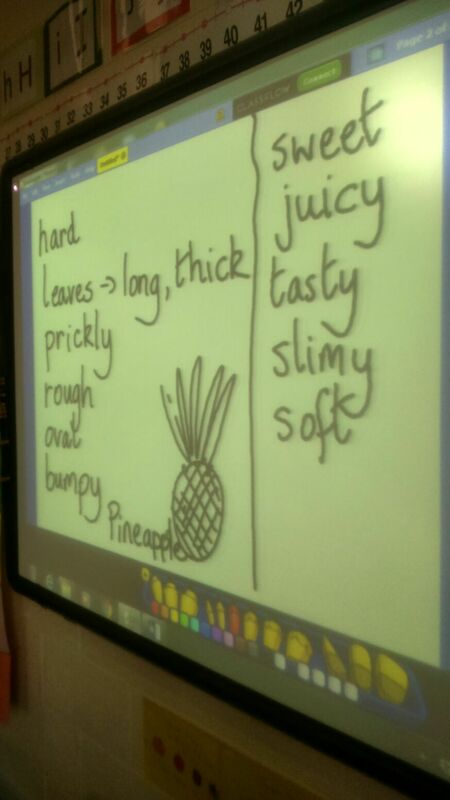 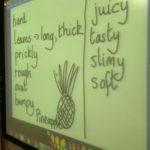 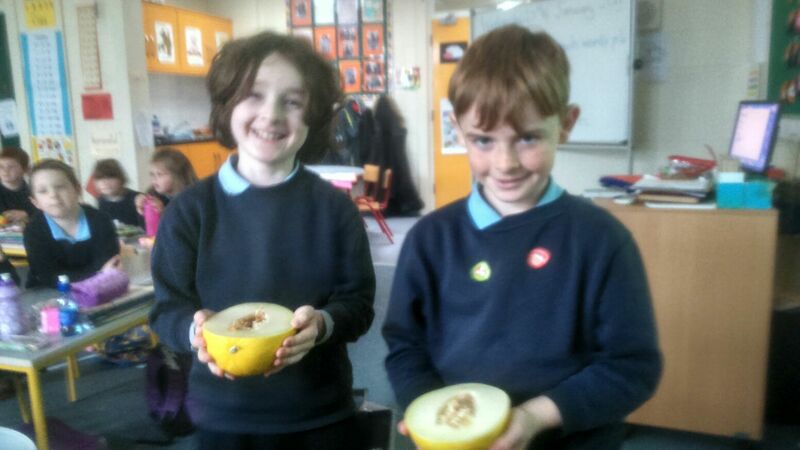 First Class investigated different kinds of fruit. 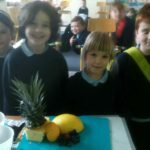 They looked at, felt, described, cut and finally tasted different kinds of fruit in class. 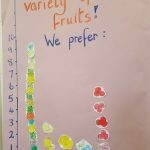 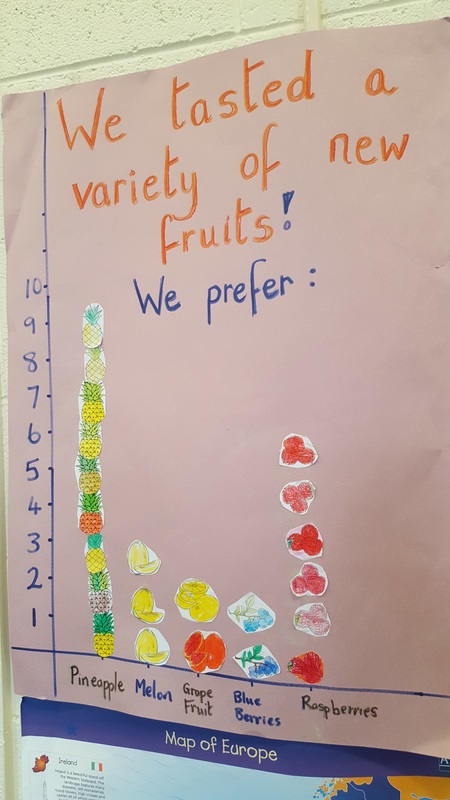 They did a survey on their favourite type of fruits and made a pictogram to record the results. 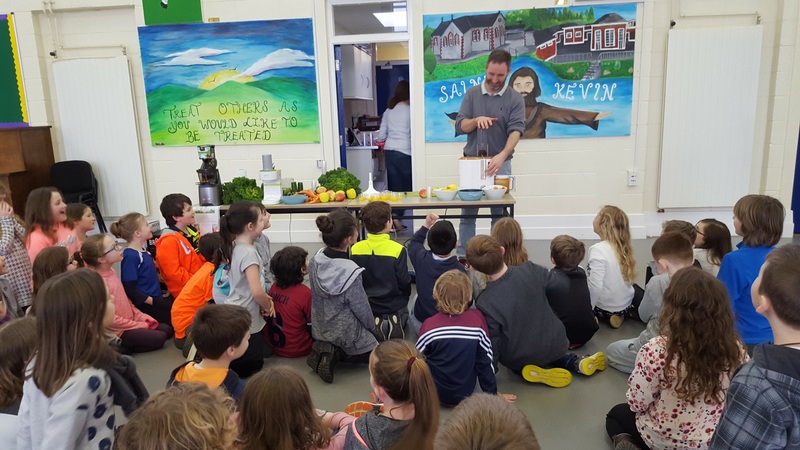 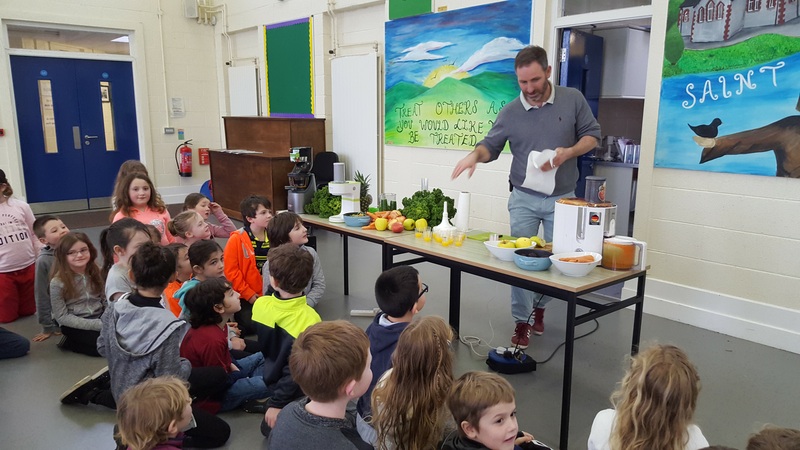 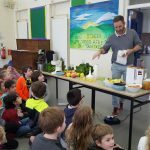 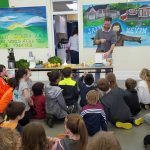 We were also lucky enough to have Vida and Elliot’s parents come in to demonstrate how to make healthy juices and smoothies from all our favourite fruit and vegetables. 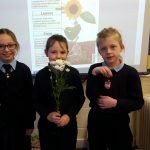 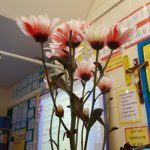 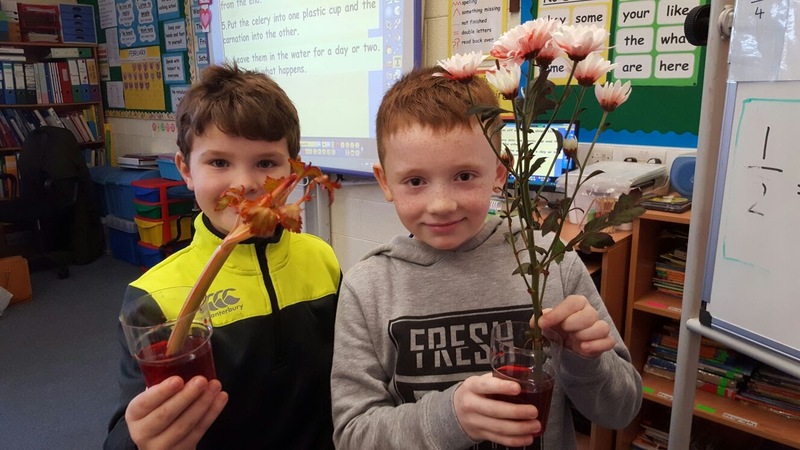 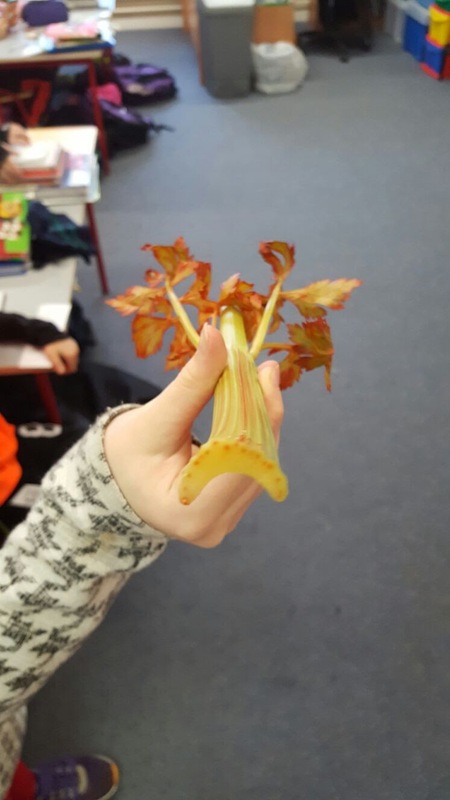 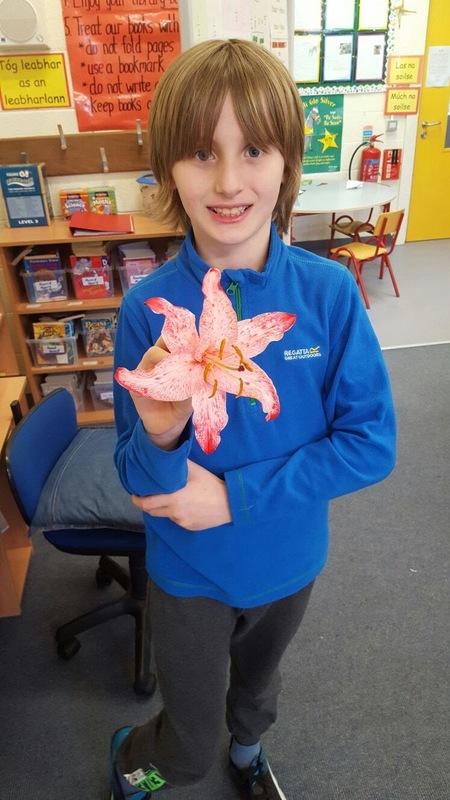 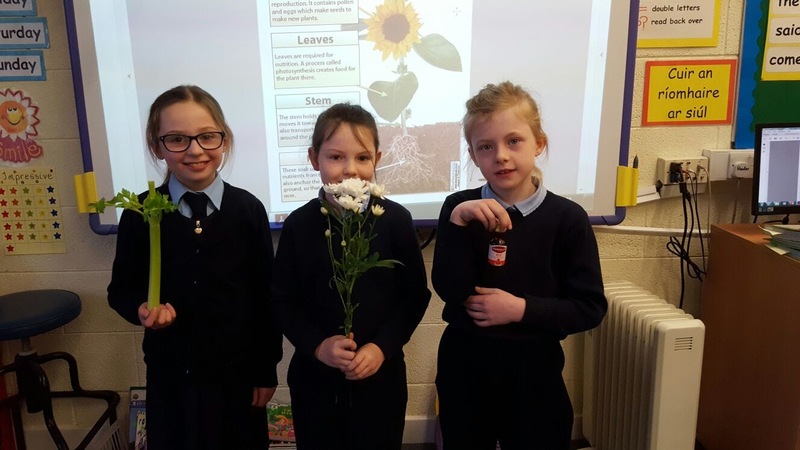 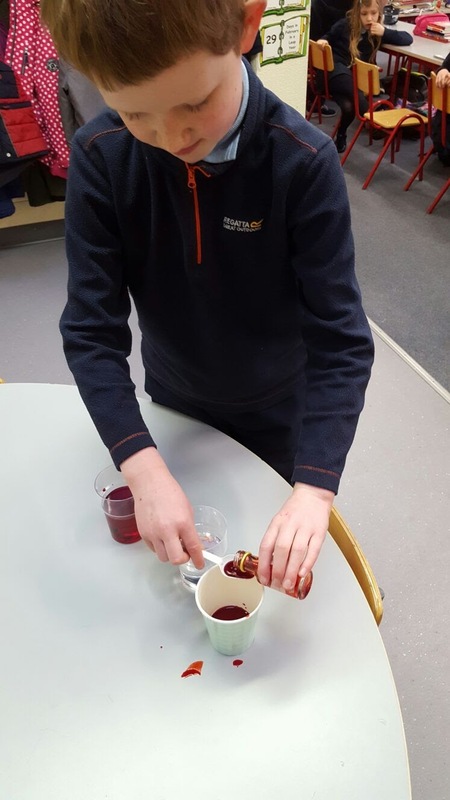 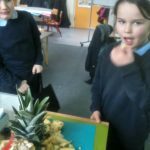 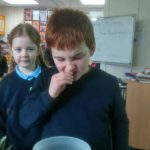 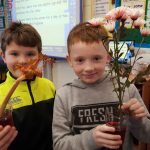 Second Class investigated how plants drink. 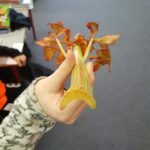 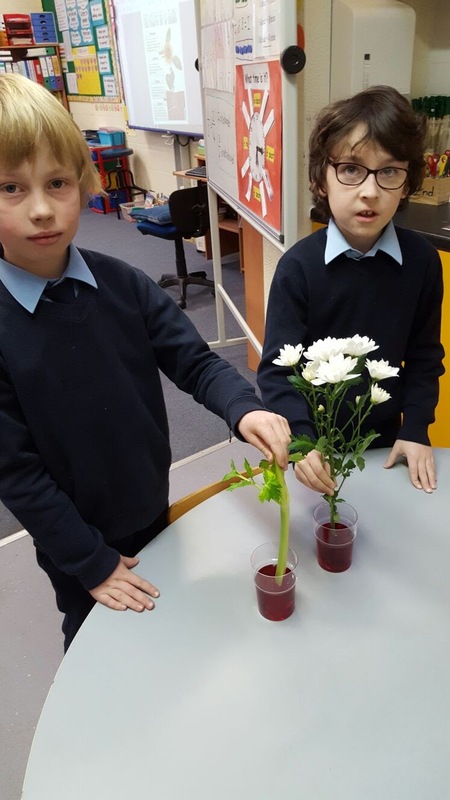 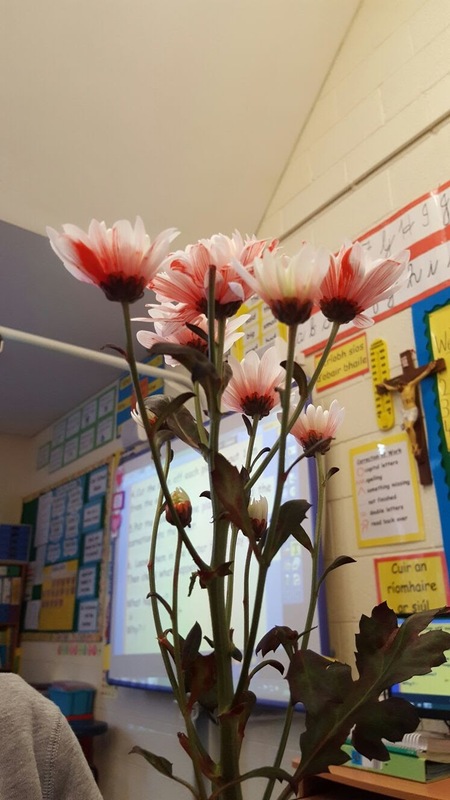 They used celery and white flowers to prove that plants ‘drink’ water by placing them in water which contained food colouring. 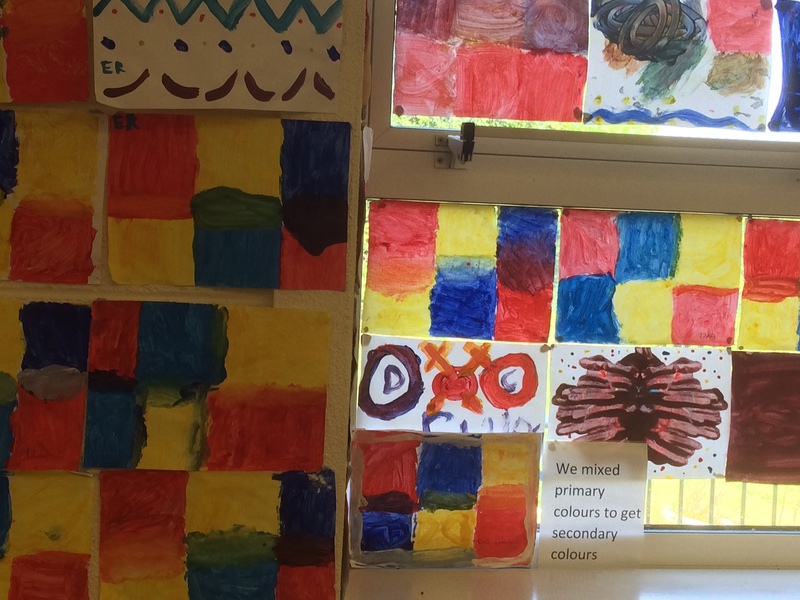 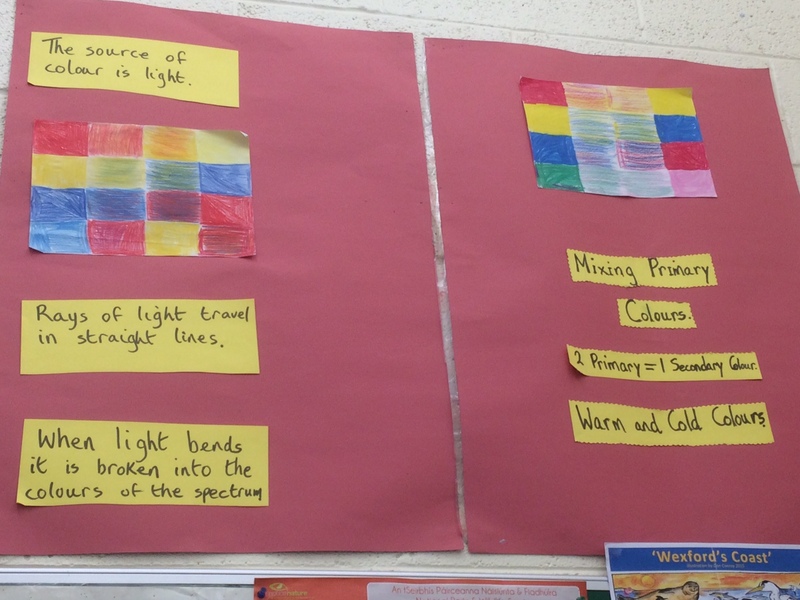 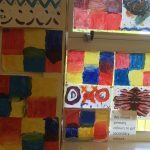 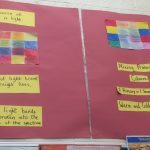 Third Class learned about Light and investigated how primary colours mix together to create secondary colours. 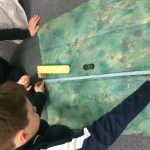 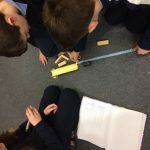 Fifth Class investigated slopes. 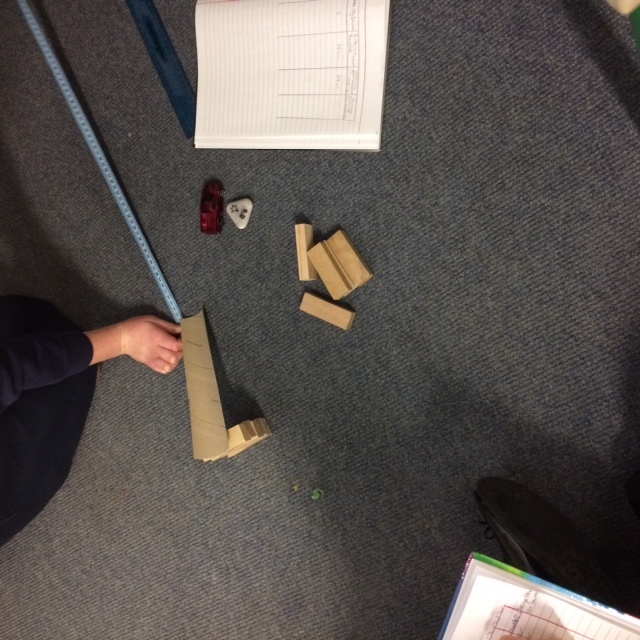 They wondered if the angle of the slope or the surface material of the slope would affect how an object would travel down it. 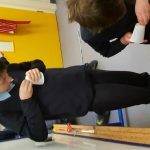 They made sure that their tests were fair by only changing one part each time (e.g. 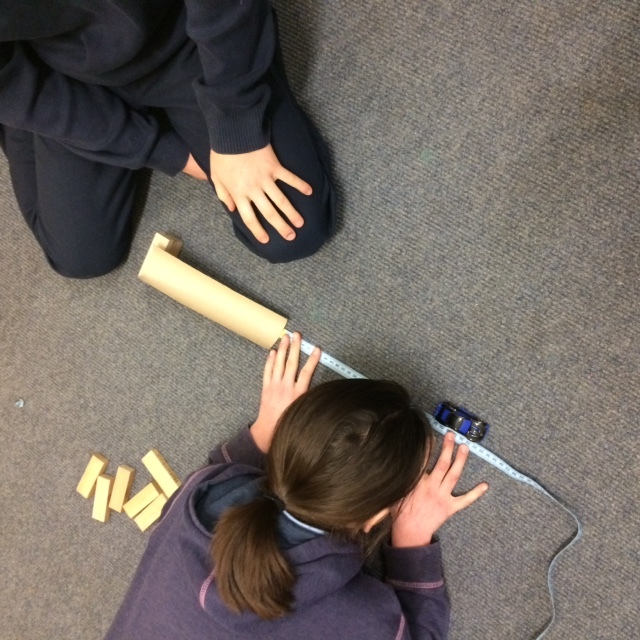 keeping the ramp the same height and adding different materials under the ramp) and practiced their maths skills by carefully measuring the distance travelled by the cars. 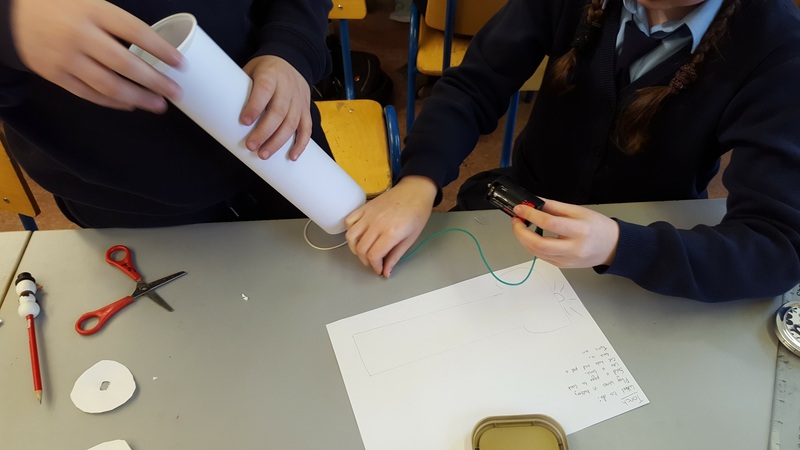 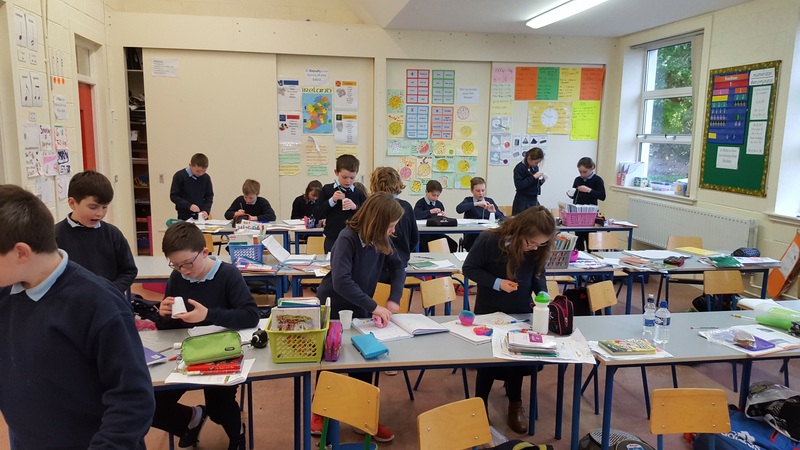 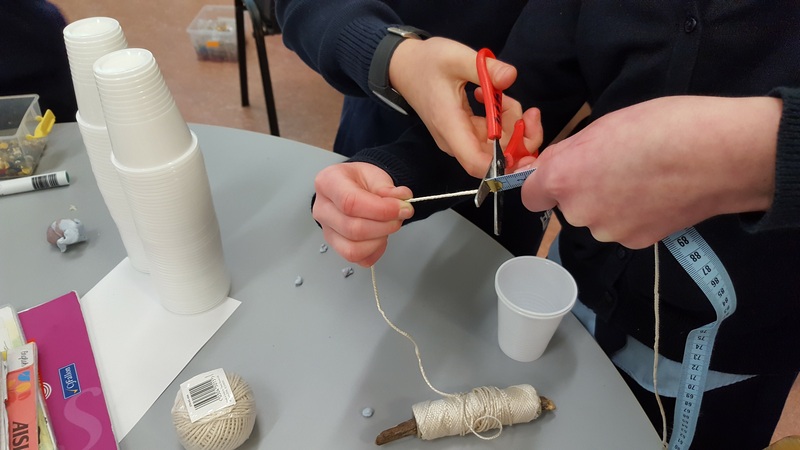 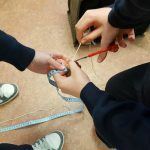 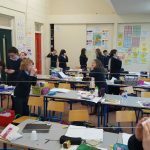 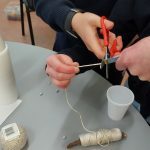 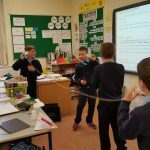 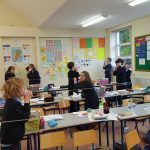 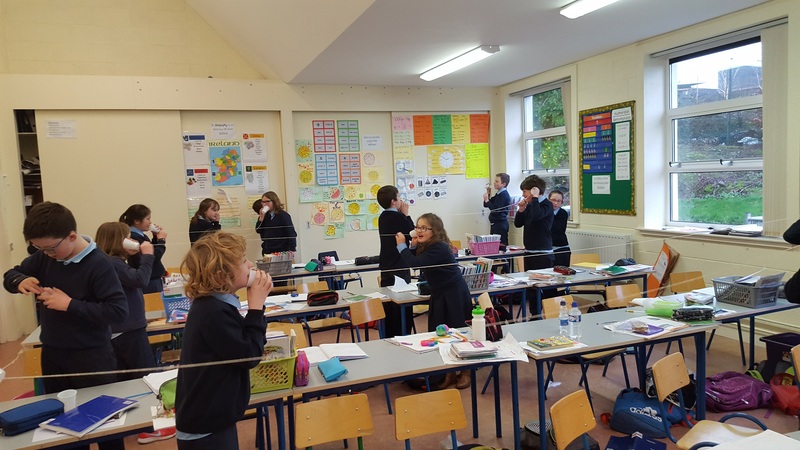 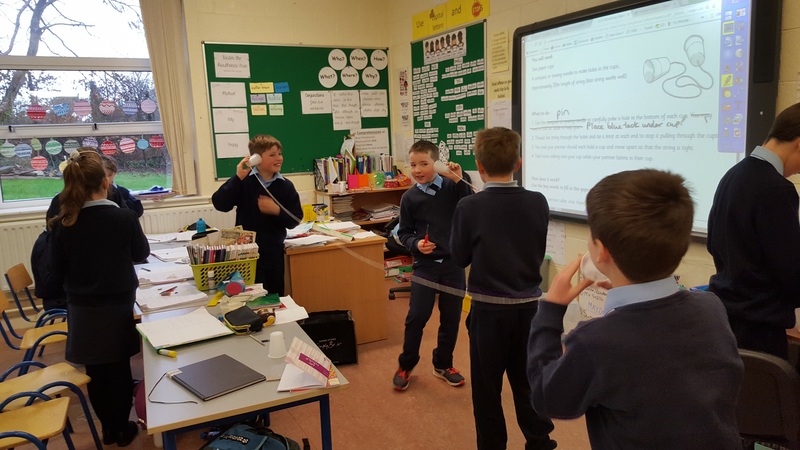 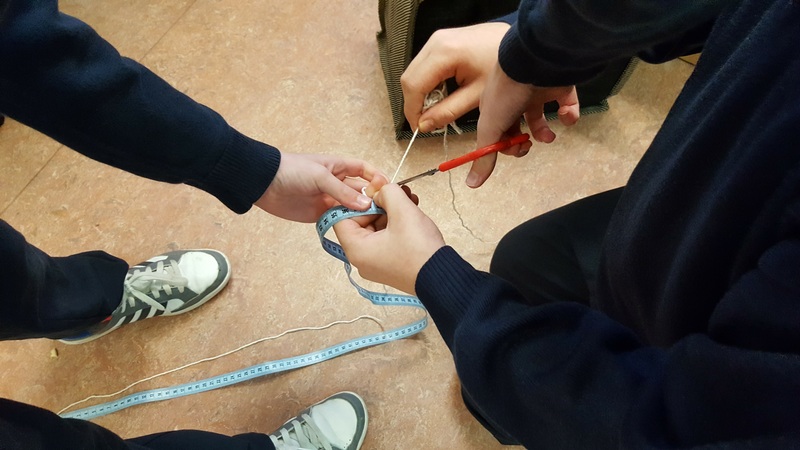 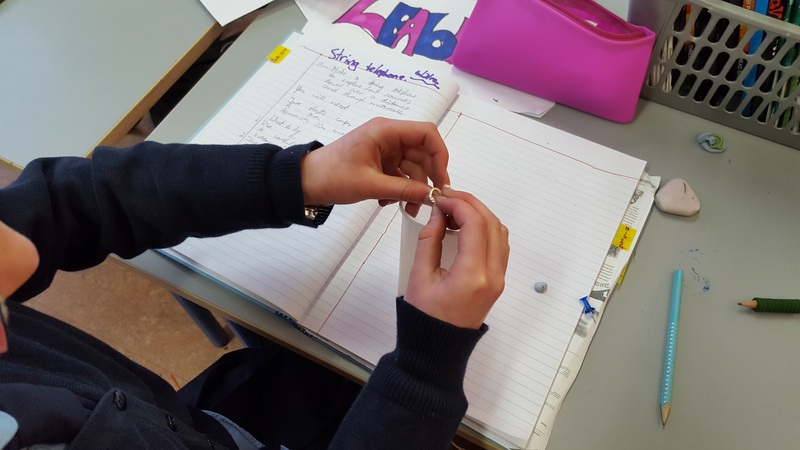 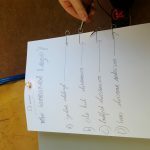 Fourth Class investigated sound using the Strange Sounds and String Telephone activities. 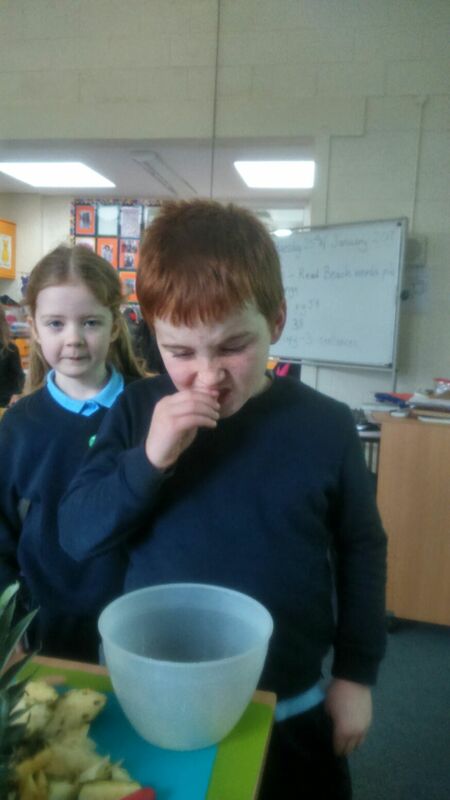 They investigated feeling sounds, seeing sounds and making sounds. 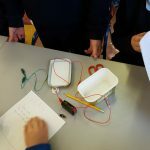 They also wondered if sound travels better through a solid material or the air and investigated using string telephones. 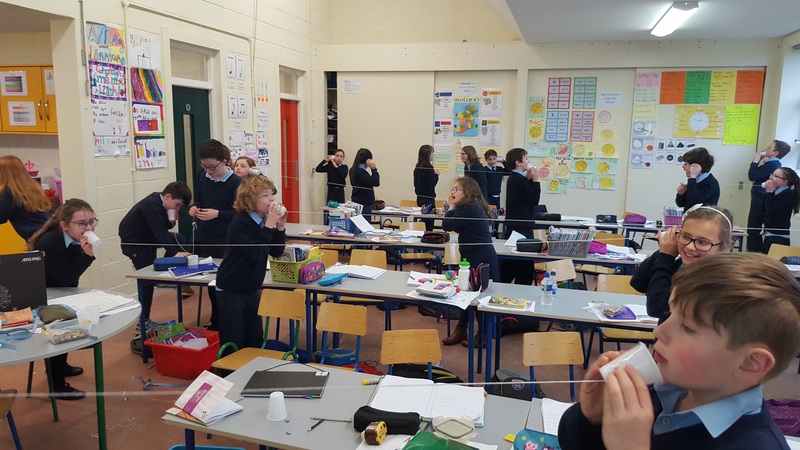 They used the same cups and string and changed the length of the strings to see how long they could make the strings and still hear clearly. 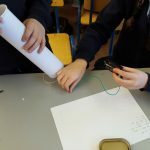 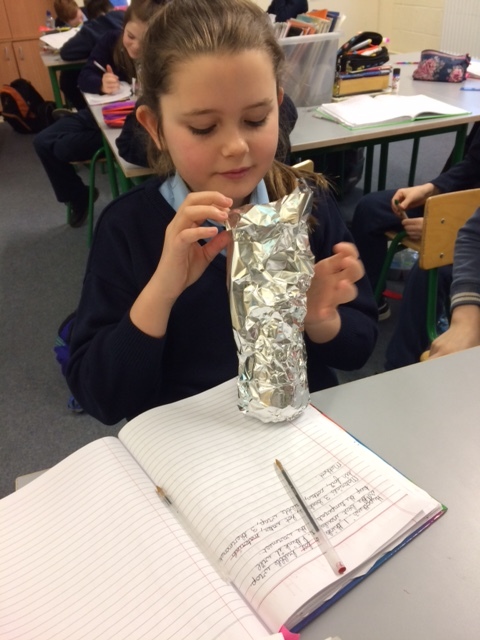 Sixth Class investigated which brand of battery lasts the longest. 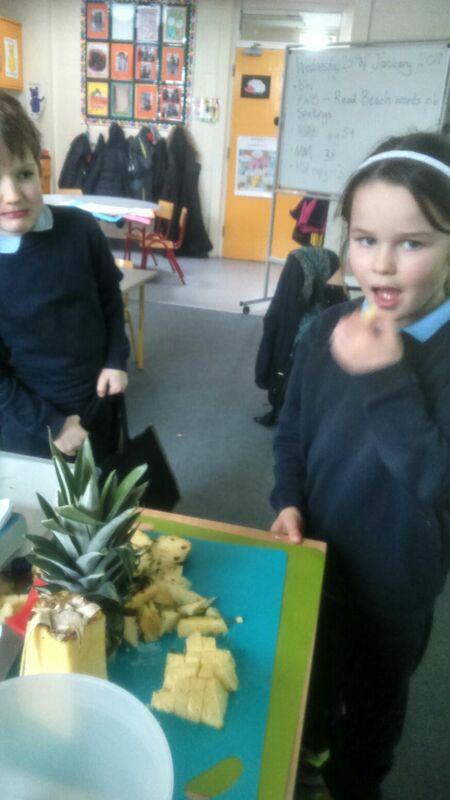 They did such a great job on their project that they were chosen to present it at the RDS Science Fair in January. 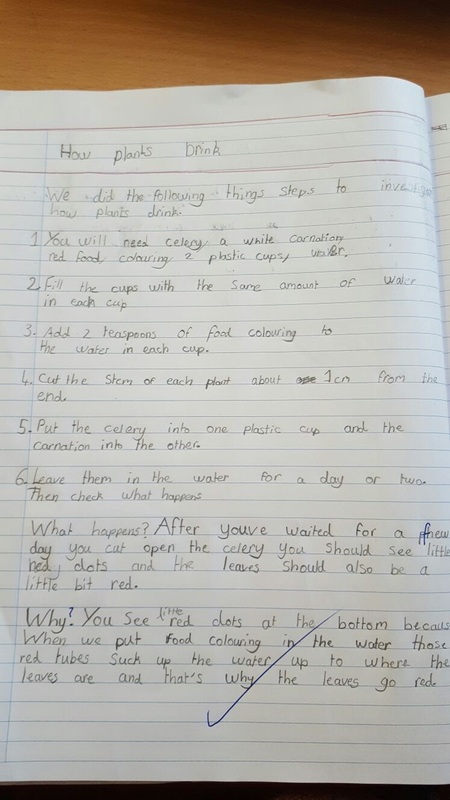 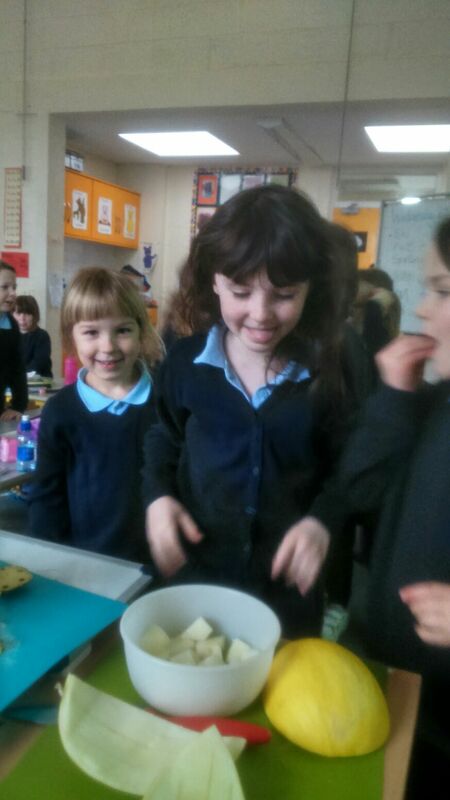 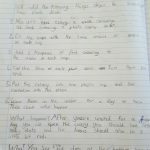 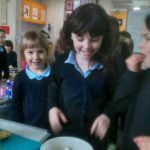 You can read all about their experiment in Step 5 Showcase. 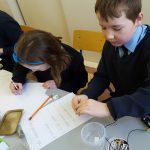 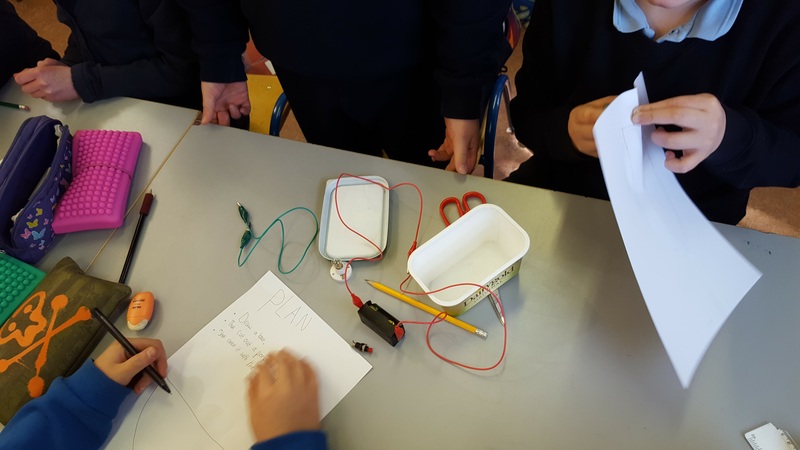 Fourth Class also investigated Electricity this year. 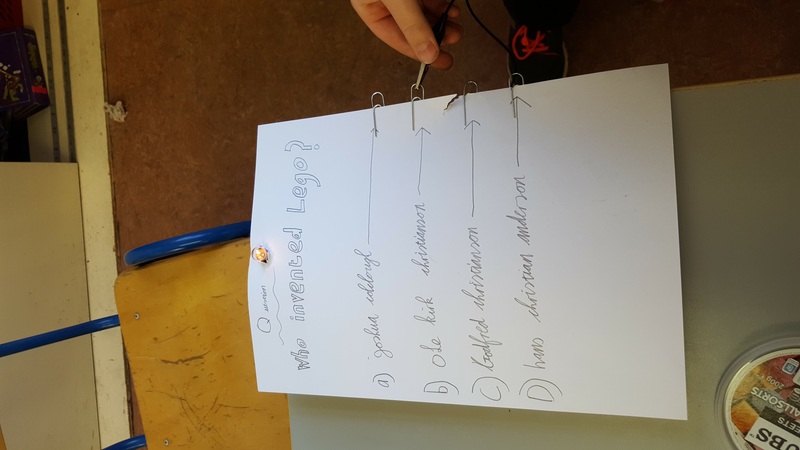 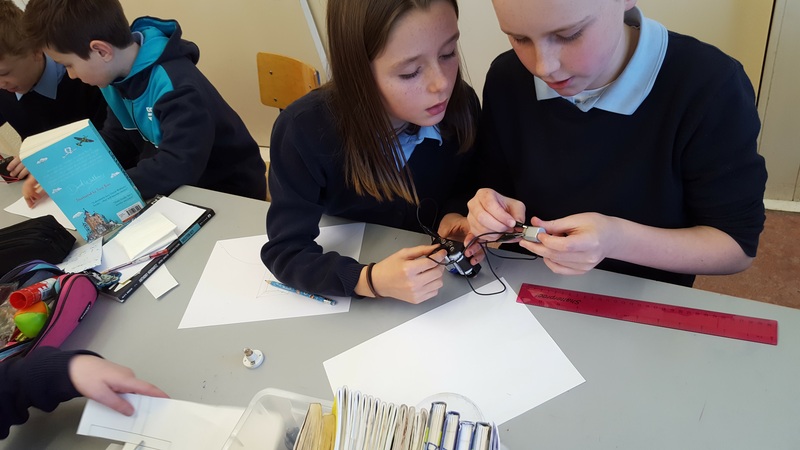 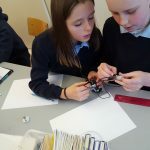 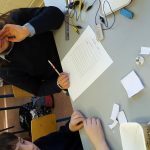 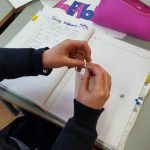 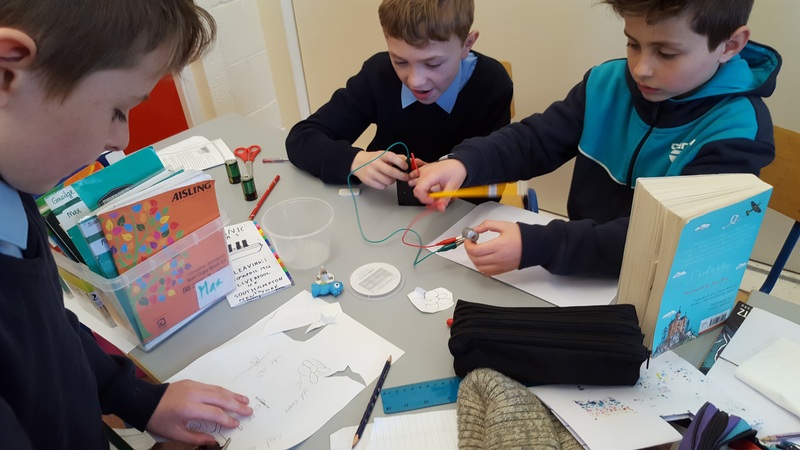 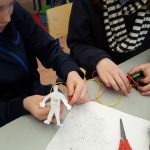 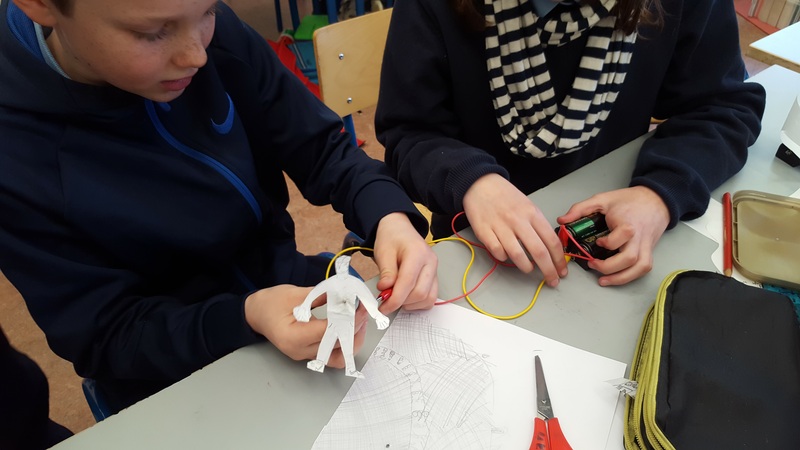 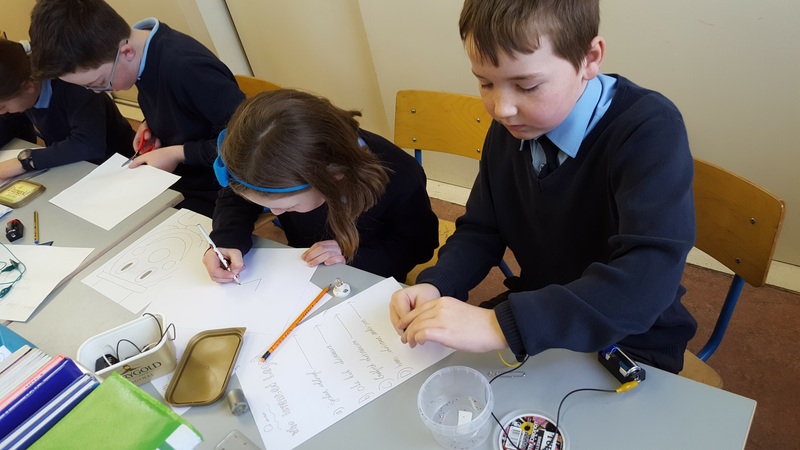 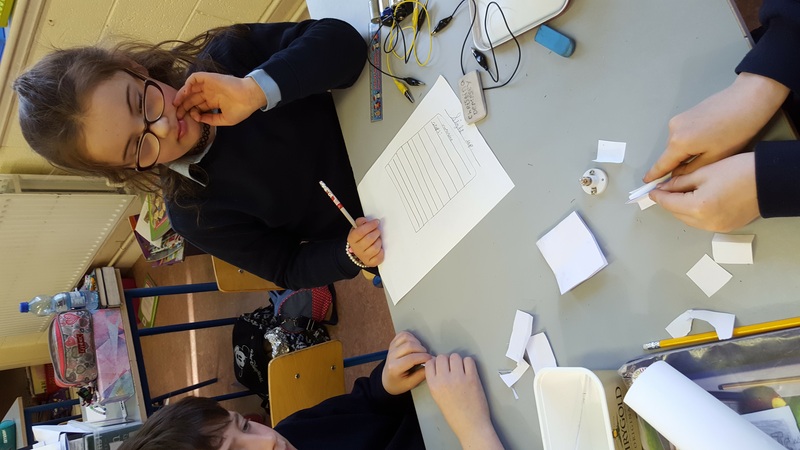 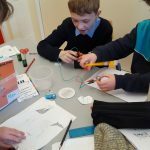 After learning how circuits work and exploring how to connect light bulbs, motors and switches, they were set the challenge of using their circuits to design and make a quiz or moving/light up picture. 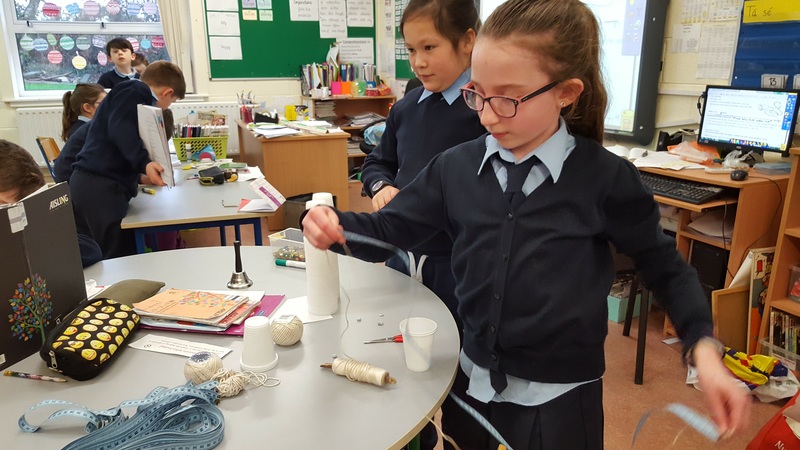 Some groups made their own torches and windmills. Check out the technology section to see some videos we made of our projects in action. 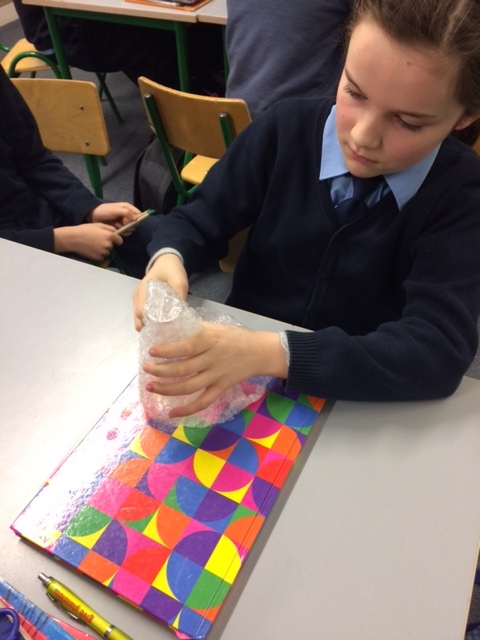 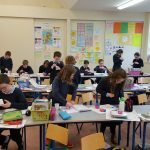 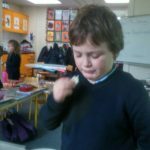 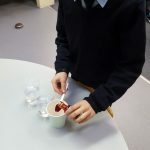 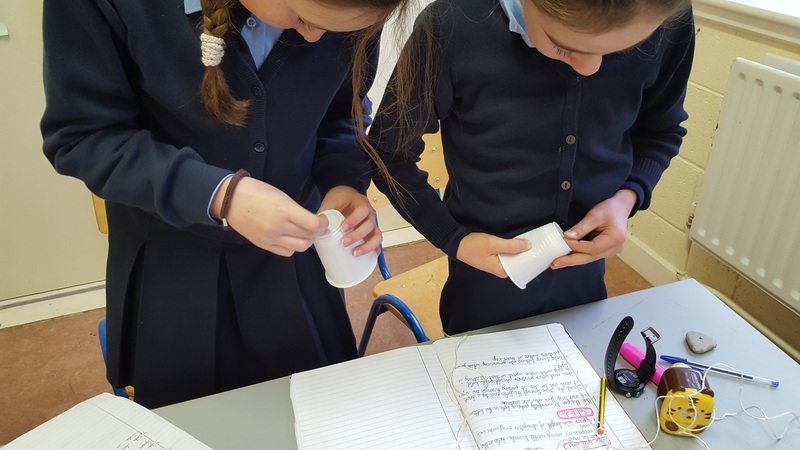 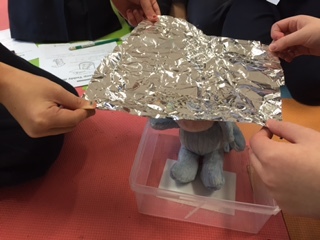 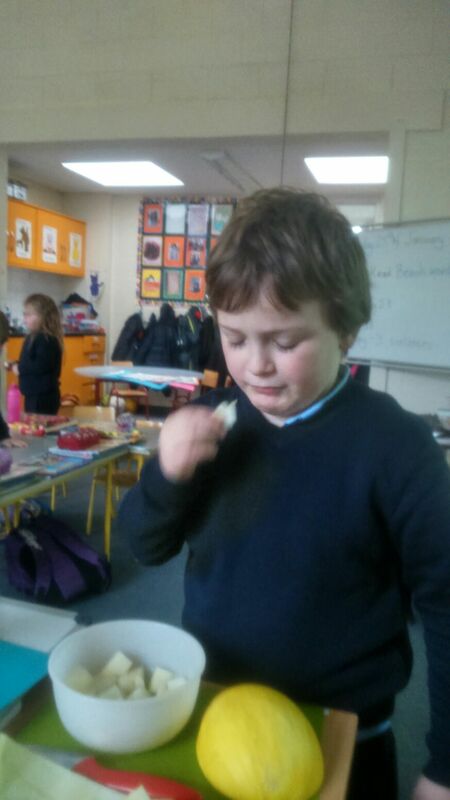 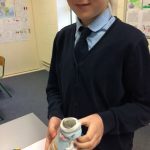 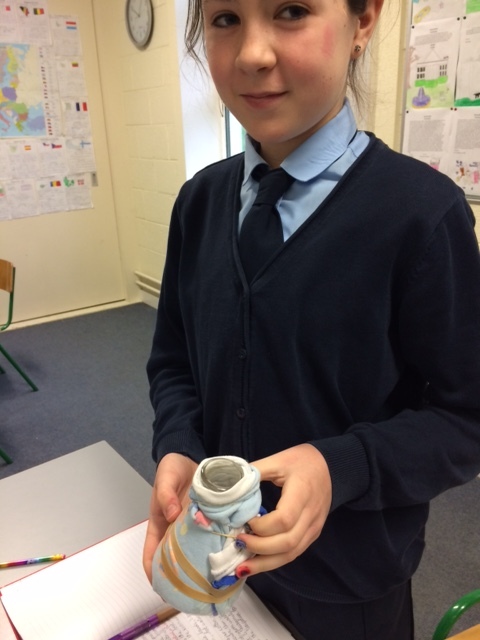 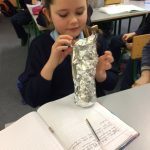 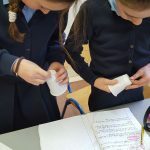 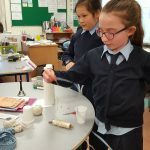 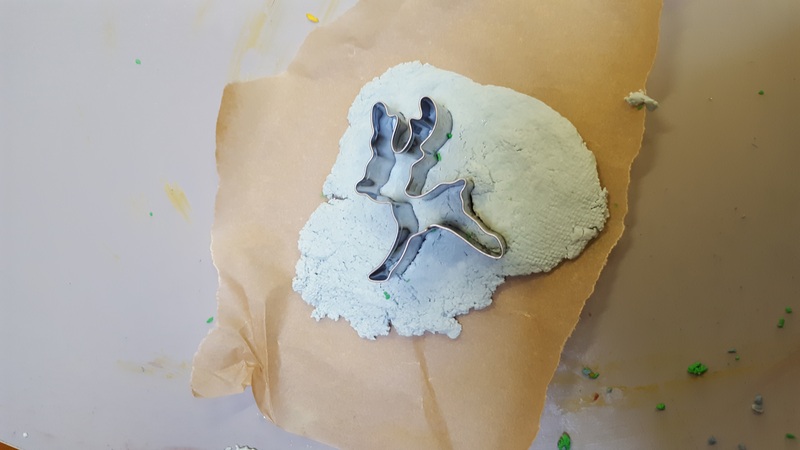 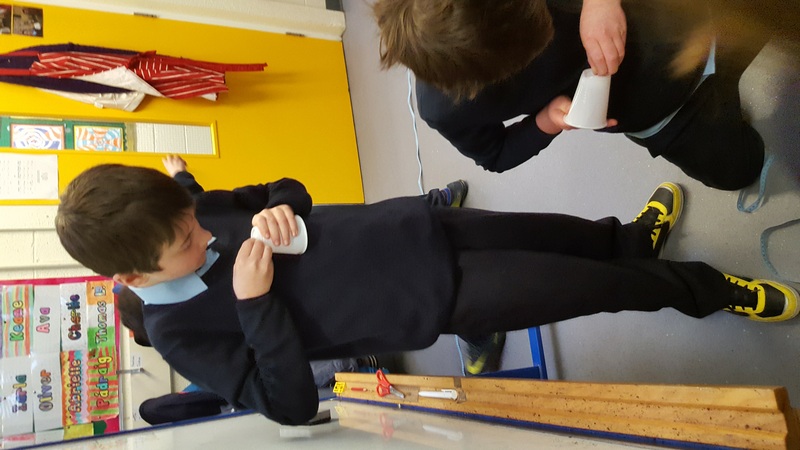 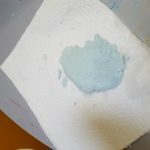 Fifth Class learned about how different materials conduct heat. 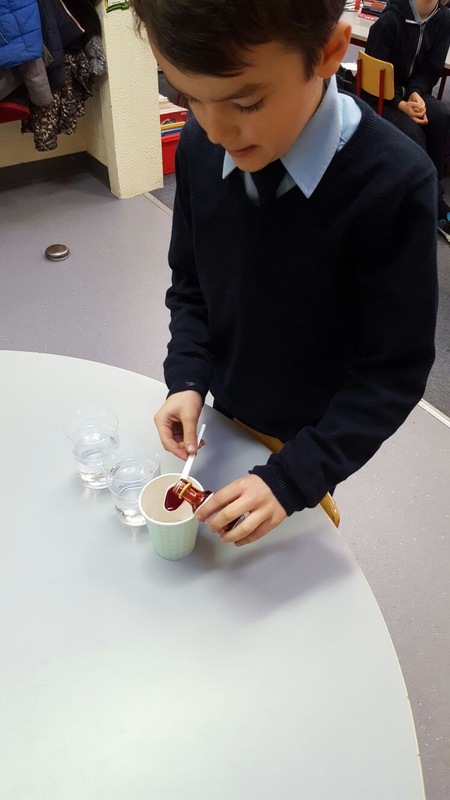 They wondered why different spoons conduct heat in different ways and investigated which materials are the best conductors of heat. 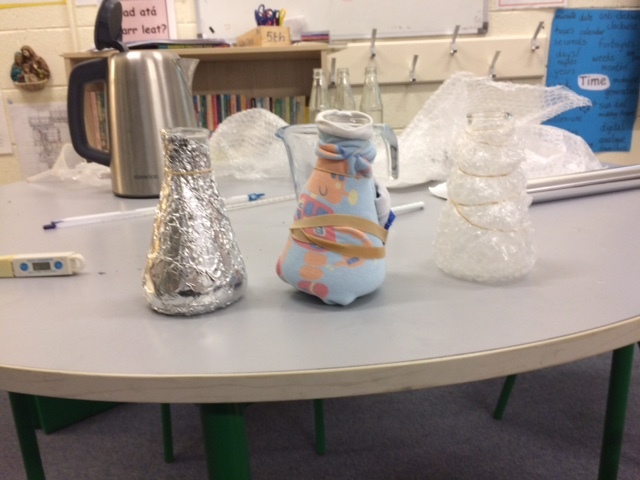 They predicted which material would be the best then ensured it was a fair test by only changing the material used to wrap the jars and keeping everything else the same. 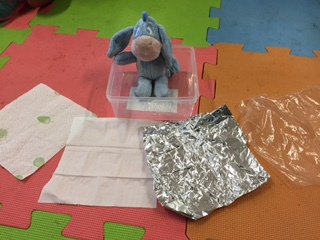 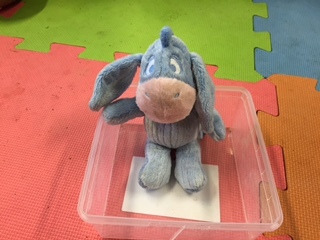 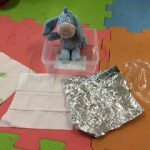 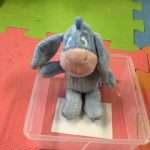 Senior Infants wondered what would be the best material to make a coat to keep their class teddy dry when he goes out to play. 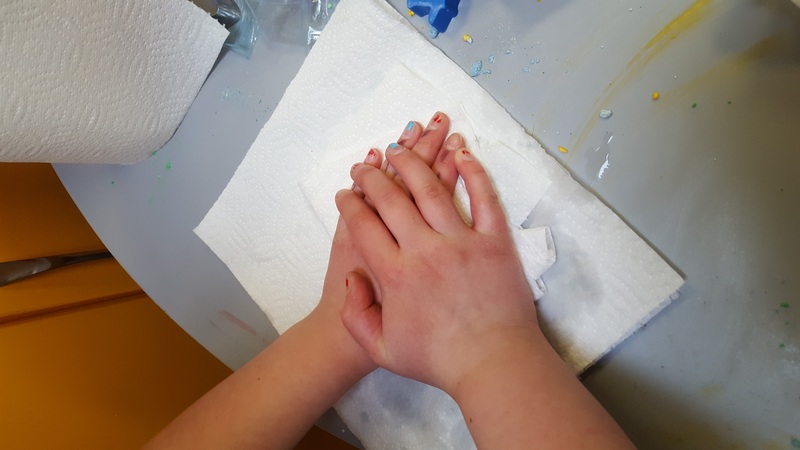 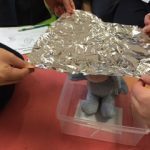 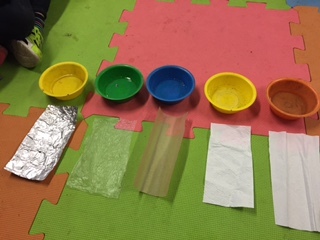 The class explored different types of materials and decided they would need one which was waterproof. 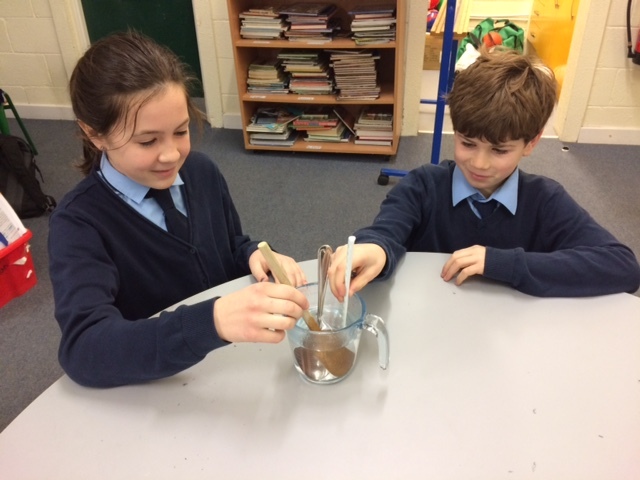 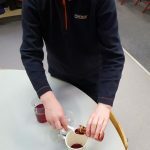 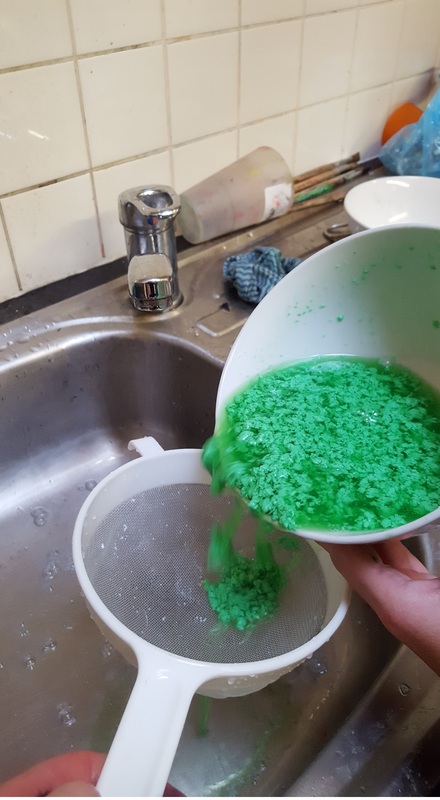 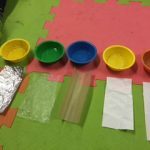 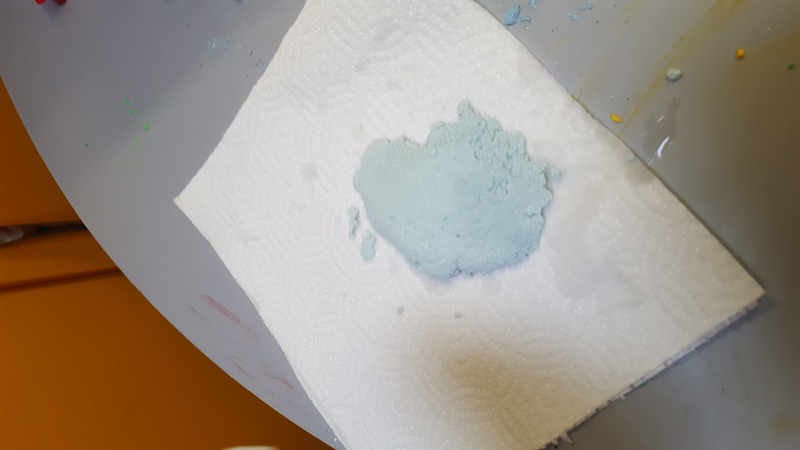 They investigated which material was waterproof by testing each material, they made sure it was a fair test by keeping the size of the materials and volume of water the same and only changing the type of material each time. 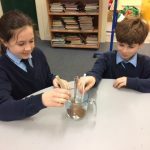 They needed to use their Maths Skill to measure the milk and vinegar carefully as they needed to have the ratio of milk to vinegar correct.